About a week ago I was contacted by longtime model and friend Dane Nelson. She wanted to know if I could do an executive portrait of her husband, Datum Engineering principal Thomas Taylor. 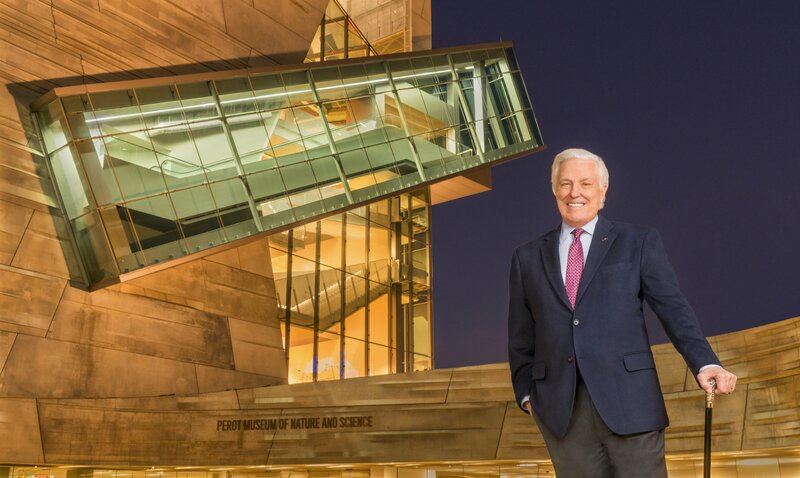 One of Thomas' recent projects is an amazing escalator that seems to float on the side of the new Perot Museum of Nature and Science in downtown Dallas. This she said, would be the location of the shot. The first thing I did after accepting the assignment was to head over to the museum for some scouting. After casing the joint by day and by night, I could see that this shot needed to happen after sunset because the escalator is much more dramatic in the evening. Knowing when and where to shoot, we contacted the museum and got clearance for an early evening session. On the day of the shoot my assistant and I arrived at 5:30, one hour before sunset. I looked around for the best vantage point and then put up lighting using the amazing Vagabond Lithium Extreme (from Paul C. Buff) to power the flash units. Thomas and Dane showed up right at sunset and we launched into the session. Initially, I wanted Thomas to stand on a narrow concrete perch. It gave a higher than normal vantage point and I liked how it lined up. The spot was a little sketchy however and he was not comfortable with it. So... I regrouped and took a few minutes to find another good way of framing him. After a couple of options, we settled on what you see above. The final shot took place about 7:00 pm. and the high ISO capability of my new Sony camera was a huge asset. Love this shot...and so do they! To see more of my environmental portraits visit my "On Location" gallery. To book a session like this click here.